The story behind "Popocatepetl from Paso de Cortez, Mexico"
Popocatepetl is an active volcano, relatively close to Mexico city. Due to the toxic fumes that come out regularly, it is now forbidden to climb Popo. 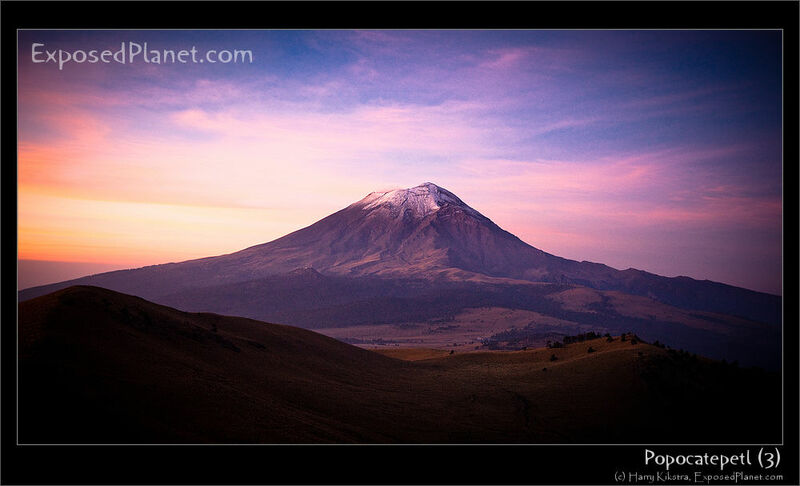 It is 5,426 m (17,802 ft) and therefore the 2nd highest mountain of Mexico, after Pico de Orizaba. The name Popocatepetl comes from the Nahuatl words popōca ‘it smokes’ and tepētl ‘mountain’, thus Smoking Mountain. This is shot from the wonderful Paso de Cortez, the saddle between Popo and the neighbouring volcano, ‘The sleeping woman’ Iztaccihuatl.